A study led by the U.S. Geological Service (USGS) finds intersex fish in three watersheds of Pennsylvania and shows strong connections between these occurrences and increased pollution in waterways from endocrine-disrupting chemicals. The study, Reproductive Health Indicators of Fish from Pennsylvania Watersheds: Associations with Chemicals of Emerging Concern, examined three species of fish in three separate watersheds of Pennsylvania to assess whether characteristics caused by hormones and hormone-mimicking compounds, such as immature eggs in male fish, were present. In aquatic environments, the presence of these intersex characteristics is widely used as a biomarker for assessing exposure to estrogenic chemicals, as well as anti-androgenic chemicals which inhibit development of male characteristics. Male smallmouth bass from all sites sampled had immature eggs in their testes; prevalence was lowest in the Ohio drainage, intermediate in the Delaware and highest in the Susquehanna. While these findings were disturbing in and of themselves, the study was also able to draw a connection to the increased presence of intersex characteristics and areas of high agricultural use. In other words, sites in the Susquehanna drainage had a higher prevalence and severity of these effects than sites in the Ohio drainage and when compared against the percentage of agricultural land use, which is higher in the Susquehanna, a link was established. Interestingly, the same connection could not be drawn from the data concerning waste water treatment plants, leading researchers to conclude that there was no significant relationship between the number of waste water treatment plants and the prevalence of immature eggs in male fish. 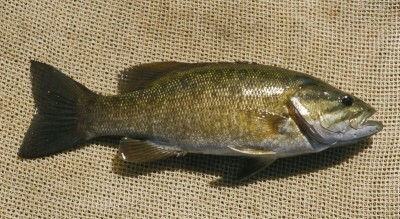 Data did show, however, that the severity of intersex characteristics of male small mouth bass generally increased at downstream sites from waste water treatment plants. “The sources of estrogenic chemicals are most likely complex mixtures from both agricultural sources, such as animal wastes, pesticides and herbicides, and human sources from waste water treatment plant effluent and other sewage discharges,” said Dr. Blazer. If you are wondering why such a strong correlation could be drawn between agricultural use and water contaminated by endocrine-disrupting chemicals, then one need only look to the nation’s environmental law responsible for water pollution control and the chemical-intensive practices common to most conventional forms of agriculture. Under the Clean Water Act (CWA), agriculture is exempt from most water pollution standards and permitting requirements—even when it comes to pesticides. This leaves one of the largest sources of all kinds of pollutants completely unfettered and free to pollute, significantly contributing to everything from algal blooms and dead zones to intersex fish and pesticide contamination. In fish and humans, endocrine disrupting effects include direct effects on traditional endocrine glands, their hormones and receptors such as estrogens, anti-androgens, and thyroid hormones, as well as signaling cascades that affect many of the body’s systems, including reproductive function and fetal development, the nervous system and behavior, the immune and metabolic systems, the liver, bones and many other organs, glands and tissues. Hundreds ofscientific articles have been published across the globe demonstrating how a broad selection of chemicals can interfere with the normal development at all ranges of exposure. Scientists discovered effects for some widely used chemicals at concentrations thousands of times less than federal “safe” levels of exposure derived through traditional toxicological tests. Whatever the exposure level, neither fish nor human are protected from most endocrine-disrupting chemicals present in our waterways.